How about them stamp lickers? 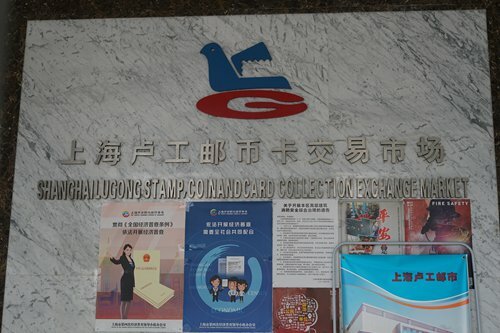 Despite the high temperatures of August, the spacious Shanghai Lugong Stamp, Coin and Card Collection Exchange Market felt rather "cold" with only a few of customers, Laodong Daily reported. Located at 600 Jumen Road in Huangpu district, the market covers more than 4,000 square meters. Originally it was only a casual stamp market among locals, but local authorities upgraded it into an official stamp exchange site 22 years ago. Since then, Lugong has played a pivotal role in the development of Shanghai and China's stamp industry. With the decreasing popularity of stamp collecting in recent years, the market is no longer as crowded as it used to be. But some vendors were busy preparing products to be shipped for online customers. If you take a closer look, you would also see that there are QR codes for payments at the stalls. These codes seem to suggest that business at the market is keeping up with the latest tech trends. Many booths at the market exchange coins or cards; only a small number of booths still deal in stamps. One booth owner, a senior male, was asleep at the time of reporting. Zhang Wenqing, another elderly stall owner, told Laodong Daily the stamp exchange market has shrunk dramatically in recent years, with profits dropping off significantly. Zhang is a famous stamp collector and dealer in Shanghai. His booth has existed for around 22 years. "My booth sells a diverse variety of stamps. No matter what types of stamps you want to buy, I can meet your demand," Zhang said. The sixty-something man was born and raised in Central China's Henan Province. With an acute business sense, he came to Shanghai specifically for the stamp business and has worked in the industry for over two decades. As an old fish in the pond, Zhang said the stamp market is similar to the stock market. "Stamp prices have a lot to do with the amount of distribution," Zhang said. According to him, during 1990 and 1993, an excessive amount of stamps were distributed into the market and thus prices were relatively low. 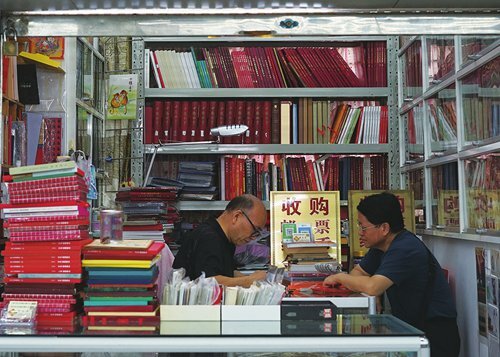 "In the best of days, almost all citizens in Shanghai engaged in stamp collecting, but nowadays only around 2 to 3 million residents still have the hobby," Zhang added. Zhang is confused about why Shanghai's previously booming stamp market has been on the decline. He recalled that, two decades ago, when the construction of the Lugong stamp market was about to be completed, tens of thousands of customers flocked there and had to queue up to enter. "Will stamps disappear in the future? What will replace them?" Zhang asked the reporter from Laodong Daily. He seemed to have lost confidence in the stamp market for a second, but he soon regained confidence. "A stamp published in 1980 was only 0.08 yuan, but today that same stamp's price is 12,000 yuan ($1,748). Stamps have become a real investment item. Maybe in the future it will be as valuable as ancient coins. I think stamps won't lose their value, at least not during my lifetime," he added. Customers come to the Lugong stamp market with different purposes. Some visit out of real interest in stamps, while some just want to sell stamp collections owned by their old family members. A 69-year-old Shanghainese man surnamed Zhao is a frequent visitor of the market. 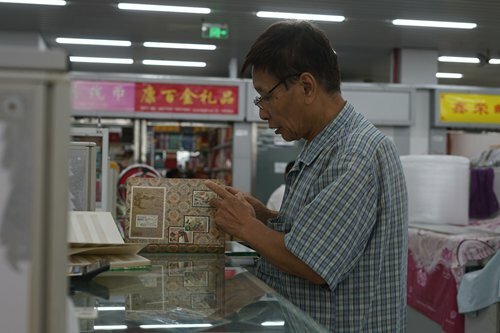 He is an old acquaintance of Zhang, as they share the same passion for stamp collecting. He said that he started to collect stamps because he was interested in it; also, stamps were a good business and brought some money to him. "I learned much knowledge from it and earned some extra income through the stamp exchange," Zhao told Laodong Daily. But in recent years, Zhao and many other senior stamp collectors have encountered a singular problem: their children don't like collecting stamps and don't understand their value. Instead, China's next generation are selling off their relatives' old stamp collections and re-investing the cash in real estate. Both Zhao and Zhang earned a small fortune through the stamp trade. But their passion for stamps has never been driven by profits. They also appreciate the artistic works painted on stamps. "But today's generation do not understand their value. They are only interested in real estate," Zhao sighed. But the future of stamps might not be that gloomy. At the Children's Palace of Yangpu District, a stamp collection course and related activities were launched 10 years ago. Many millennial children are still participating in these courses and activities. 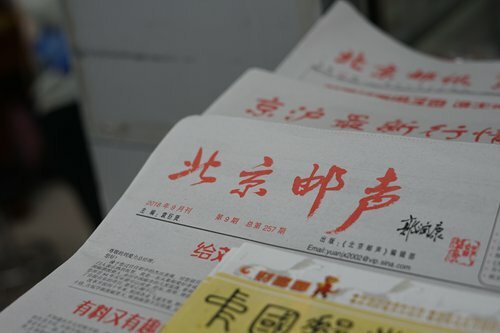 Zhou Lili, an instructor of the stamp course, told Laodong Daily that though the stamp collection course has the least number of participants compared with other hobby courses, few students quit. So what is a typical stamp collection course? According to Zhou, during the first half of the course, a teacher will introduce the history and related knowledge about stamps; during the second half, students make a stamp collection together. She added that many children are interested in the colorful designs of the stamps, as well as the histories and stories depicted in the their pictures. The article is translated based on a report by Laodong Daily.